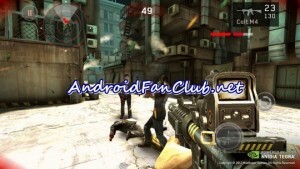 Miclea from AndroidFanClub.Net has recently reviewed Dead Trigger (a multi-platform HD game which is available of iOS & Android) on his Asus Nexus 7 Tablet. Its an awesome 1st person zombie shooter game with HD graphics, the game is actually designed for Nvidia Tegra 3 & above based devices for its enhanced graphics accelerated performance. Although it works fine on devices with other processor chips with a bit of lower graphics details. Dead Trigger is available for FREE on Google Play Store. Watch out the video review after the break. Enjoy the zombie slaughter in many different ways: blast ’em out of existence with lethal weapons, blow them up with powerful explosives or chop off their limbs and let them die slowly – Shoot away their heads, chop off their limbs… kill them with creativity – Evolving zombie AI will keep you entertained – Follow the story or enjoy unlimited random missions – Load your gun and save the Earth! – Equip yourself with splendid high-poly realistic weapons – Utilize powerful gadgets including a laser amputator, blade chopper, baits, mines, grenades, radar and more – New online service from MADFINGER Games – Receive free updates with new missions, weapons, gadgets, characters and more. Let us know which Android games or apps you want get reviewed on AndroidFanClub.Net, your feedback would be highly appreciated in the comments section below.